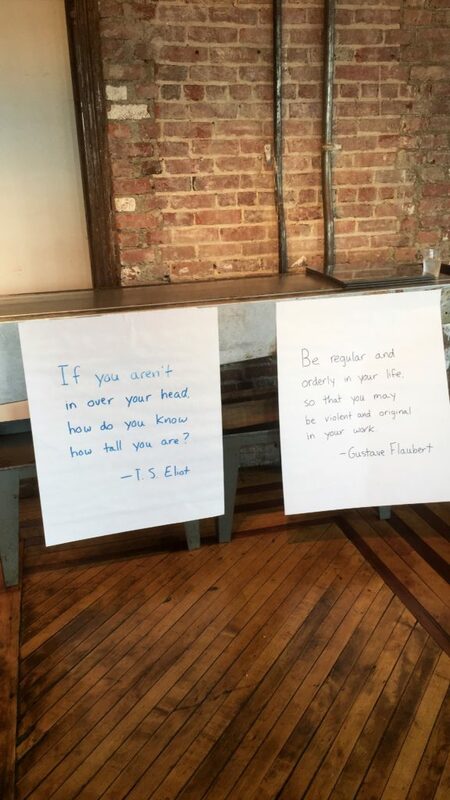 I just got back from the One Story summer conference in Brooklyn and, despite being sick as a dog, I had a great week. I feel so lucky to have been able to do two wonderful (and very different) writing conferences this summer. Kenyon, as I blogged about, was emotionally and physically draining, but I learned a ton and left feeling energized and inspired. One Story was a cushier, more supportive environment, and I came home feeling confident and motivated (if a bit depleted by whatever mystery virus I contracted while in New York). 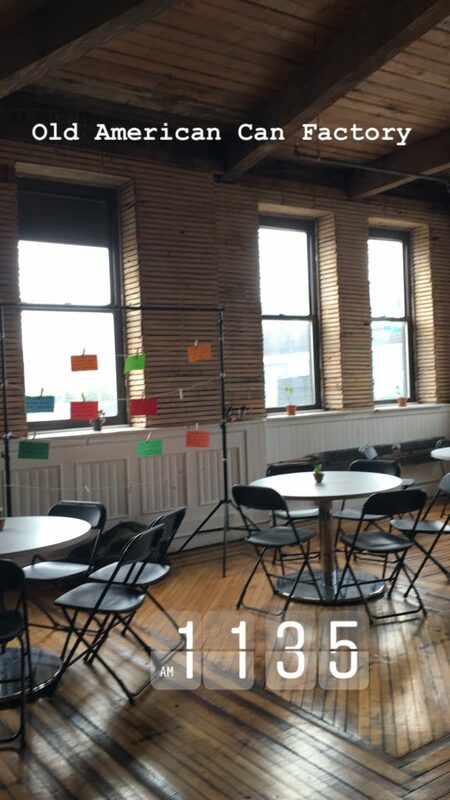 The conference took place at the Old American Can Factory in Brooklyn, a former factory converted into an art space (where One Story has its offices). The week consisted of workshop (critiquing each other’s manuscripts), craft lectures (from such awesome writers as Hannah Tinti, Ann Napolitano, and Patrick Ryan), meals, readings, and opportunities for industry mingling. One of the most valuable parts of the One Story conference, for me, was the industry component. 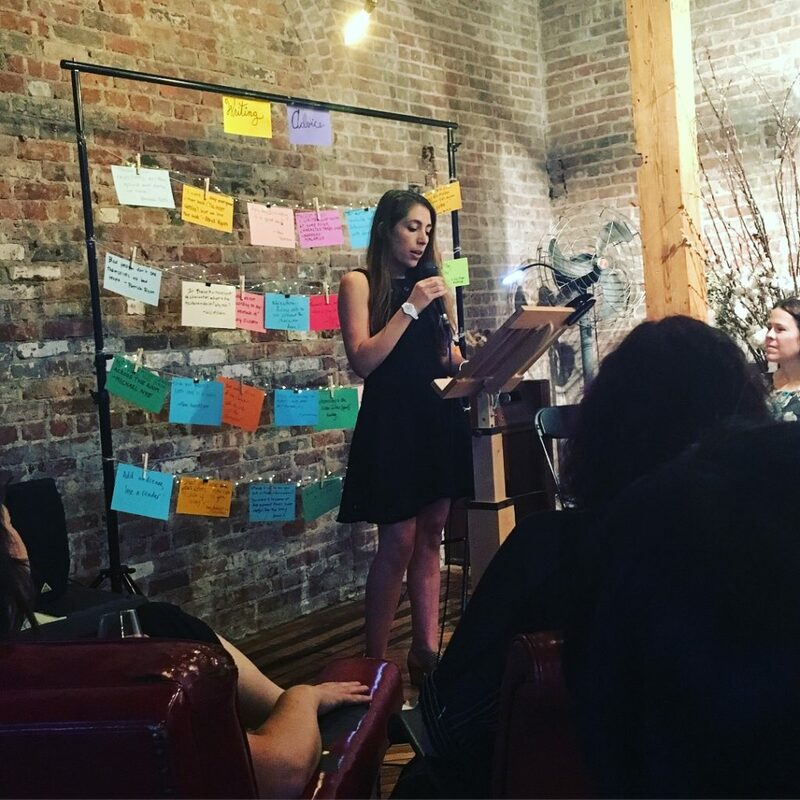 One night, there was a panel and meet-and-greet with four editors from various publishing houses, and the next night, a panel and mixer with four literary agents. As a non-famous writer who works out of her home office, anything I can do to get my manuscript pulled from the dreaded slush pile is a bonus, so being able to pitch to four literary agents face-to-face is huge. (This also produced another positive: I was forced to come up with an elevator pitch for my novel, something I’d been putting off for six months or so). 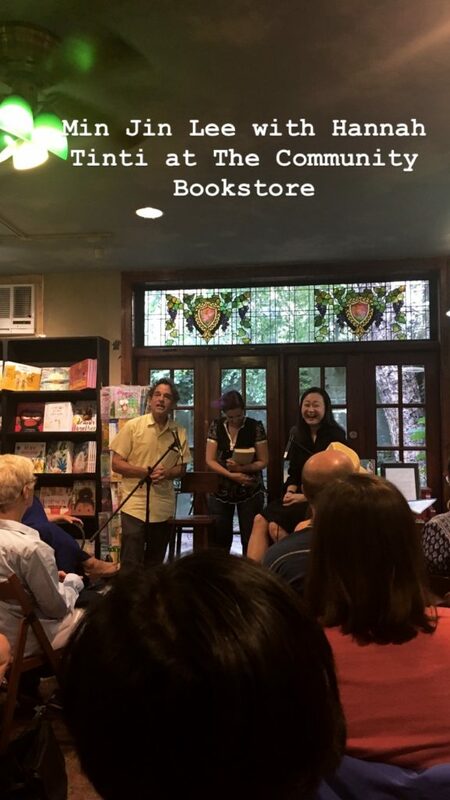 One night, we got to see Min Jin Lee, author of the wonderful family saga Pachinko, in conversation with Hannah Tinti at the Community Bookstore. Min Jin Lee was so down-to-Earth, funny, and frank; I loved hearing her perspective on the labor involved in researching and writing, on creating memorable characters, and on tapping into the emotional heart of the reader. The week culminated with a participant reading, so I got up and read my fiction for the second time in my life. It was fun! I’m so glad I went to One Story and would gladly do it again. Also, being in Brooklyn gave me the opportunity to see my dear friend Claire and to meet, for the first time, one of my former editors at Previously.TV, Sarah Bunting. After working with Sarah off and on for over five years (and doing, among other things, the vaunted Andi Dorfman book club with her and my other former editor, Tara Ariano), I felt like I’d already met her, so it was cool to sit down IRL and have a drink. Thanks for a great week, Brooklyn! It’s been real. This entry was posted in Writing and tagged Ann Napolitano, books, brooklyn, Hannah Tinti, Min Jin Lee, new york, One Story, Patrick Ryan, publishing, writing on July 29, 2018 by Stephanie.